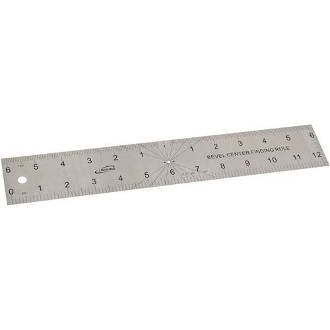 This handy 8” Center Rule and Angle Gauge is made of stainless steel and measures in 16th, 32nd, and 1mm scale. The bottom lists the full length of the rule, while the top measurements count out from the center. A great addition to any shop! 8" long. Photo is of 12" rule 8" photo coming soon!